Which policy do I need? I need Diving Medical Insurance only. I need Travel Insurance for a trip, and Diving Medical Insurance. 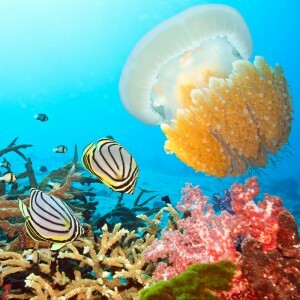 I need an annual Travel Insurance policy for a number of trips throughout the year, including Diving Medical Insurance. I am planning on travelling for an extended period of time. I will also need Diving Medical Insurance. Dive Master’s Scuba Pro product combines the benefits of IDEC (International Diving Emergency Cover) with Pro Diver Liability insurance including a 10% discount against the cost of buying both individually. Ideal for Dive Masters, Dive Guides, Assistant Instructors and Instructors. IDEC International Diving Emergency Cover. A Personal Accident Plan for Divers. Covers you diving anywhere. Now with new and improved benefits including an increased aggregate limit of £500,000. No Depth Limits- There are no depth limits on IDEC! 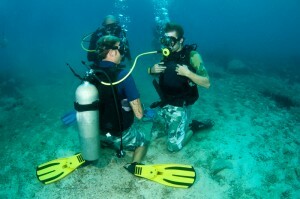 We simply ask that dives over 80 metres are supported dives. If you want to dive deeper than 130 metres a full dive profile and proposed safety and support measures must be submitted to underwriters for agreement. We don’t just apply your Diver Certification depth limit in any claim; in fact we wouldn’t consider declining a claim on breach of depth limits unless it was a pre-planned and deliberate breach and directly caused the accident. EXPERIENCE COUNTS as much as certification. We always consider your logged dives as well as your certification records before coming to the right claims decision. In fact, in 20 years, we have never declined an IDEC claim because a diver breached their depth limit. Full policy details can be found in the policy wording and keys facts. Covers you for instructing, supervising and guiding to all the recreational Certifying Associations training programmes on an annual worldwide* basis with the benefit of no common renewal date. Any First Aid required as a result of these activities. This policy protects your civil liability if you are sued by a member of the public, a client or student, or your dive buddy. This policy covers your legal liability arising from any bodily injury or damage caused as the result of you providing diving equipment to your clients or students. This policy cover extends to your Principals if they are joined in a suit against you as a result of your actions. Principals can be Hotels, Schools, Tour Operators, Local Authorities or any one providing you with clients. *This policy does not include liability coverage for the USA, Canada, their territories or possessions and is not available to citizens of these territories. In the event of a Medical Emergency go to or call immediately the nearest physician or hospital without delay, then contact Mayday. In the event of a Medical Emergency go to or call immediately the nearest physician or hospital without delay, then contact NGS. When calling please give your Name, Policy number and brief description of the problem. NGS can be contacted on the following numbers: +44 (0)207 183 8910 or +44(0) 7785627433 Collect Call if necessary. "); //}); //}); $( "#content-main table").wrap( "